The Indian Transport Ministry estimates that the number of fatalities from road accidents could climb 50% to 150,000 a year by 2015 due to the rapid growth of vehicle ownership in the country. The World Bank estimates that at current levels (100,000 per year), India’s mortality rate is 14 for every 10,000 vehicles — seven times that of the developed world. Annual passenger vehicle sales in India are expected to reach two million units by 2010, double the current number, largely thanks to the massive increase in the number of affordable vehicles. 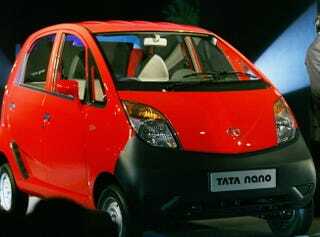 The Tata Nano — at $2,500, the world’s cheapest new car — will make up a quarter of that increase alone; 250,000 of them will be built per year.